Though snow is gradually looking less likely, widespread rain heavy rain still looks likely on Saturday. A weekend storm system will bring widespread heavy rain to the Tennessee Valley Saturday and a chance for snow Saturday night and early Sunday morning. Now that our weekend storm is tracking inland and we can measure it with the weather balloon network and the network of surface observations, the forecast will gradually zero in and settle on a solution closer to what will likely play out. The storm system is bringing rain and mountain snow to Utah, Colorado, and Arizona Thursday evening. That system will continue tracking eastward. A lot of the moisture will be blocked by the Continental Divide, so if you look at it early Friday morning you may think the system didn't make it out of the mountains. As the circulation at the center of the storm system tracks into the Great Plains, it will draw increasing moisture off of the Gulf of Mexico. Snow will fly over the Northern Plains and the Upper Midwest Friday. Rain will increase on the south side of this storm system Friday night, and it will track toward the Tennessee Valley in the early morning hours of Saturday. Here is how this storm system will impact the Tennessee Valley. Areas of rain will begin increasing west of I-65 between 2 AM and 4 AM early Saturday morning. Rain will shift eastward across I-65, beginning to fall around Huntsville, Fayetteville, Athens, and Decatur between 4 AM and 6 AM. 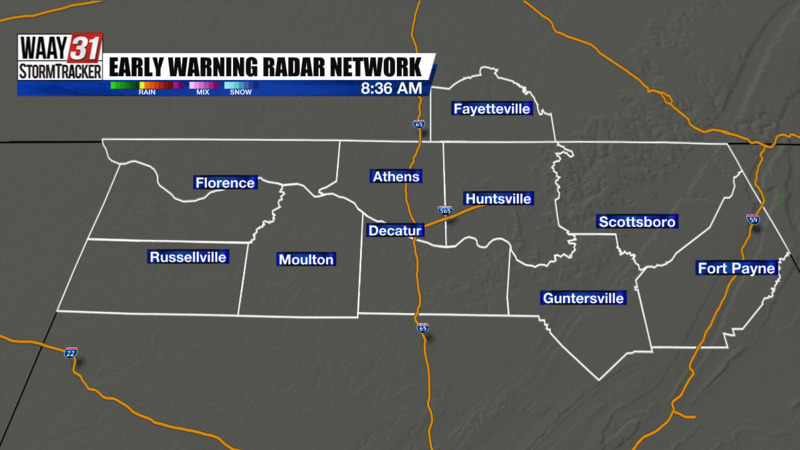 By 8 AM, rain will widespread for nearly all of the Tennessee Valley. Expect periods of heavy rain that will gradually wind down between noon and 2 PM. Brief periods of light rain will remain possible through about midnight. Snow may brush areas along the Alabama-Tennessee state line. The biggest chance for snow locally is from Fayetteville to Hytop and Bridgeport. If you don't get snow by 6 AM, odds are you won't get any. That will likely be the case for nearly all of the Tennessee Valley. Rainfall amounts of 1-2 inches are likely with locally higher amounts possible in spots. Snow will be limited to a light dusting for only a few of us. The farther north you are, the better your odds are of seeing snow. In addition to the widespread heavy rain and the small, shrinking chance for snow, this storm system will bring strong, gusty winds. Gusts of 35-45 mph are possible between 2 AM and noon Saturday. The wind will back off to 25-30 mph through Saturday night and to 15-20 mph Sunday morning. 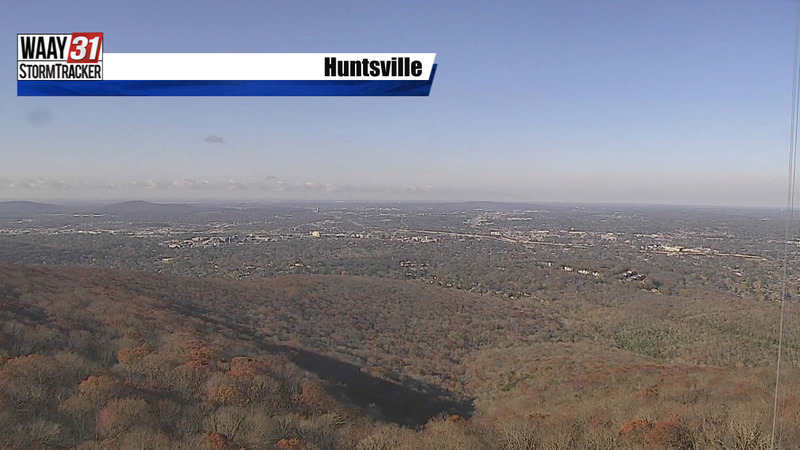 This gusty wind will carry colder air into the Tennessee Valley. Temperatures will drop to the upper 20s Sunday morning and hold in the low-to-mid 30s Sunday afternoon. Wind chills will likely be in the teens during the least-cold part of Sunday. Colder teens to low 20s for temperatures are likely Monday morning.